Samsung Level In review | What Hi-Fi? Mention headphones to anybody, and it’s unlikely that Samsung would be the first name to come up. And on this showing, that’s unlikely to change any time soon. Then again, everybody wants in on the game of ‘phones these days, so we’re not surprised to see the Korean company stepping it up and bringing in the Level range. It starts off well, aesthetically speaking. 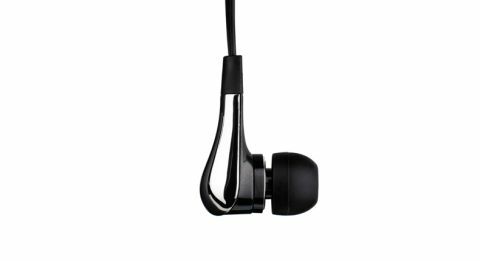 Samsung obviously wants to draw a line between these headphones and those buds that come bundled with their smartphones. There’s a fancy design that brings to mind Terminator 2’s liquid metal T1000. Up close, however, it’s less impressive. The Level Ins feel very plasticky, and we suspect the chrome finish will flake off after a while. Construction is sturdy, nevertheless, and you get a flat cable (for tangle resistance) and a three-button microphone/remote unit. After playing with the different ear tips – the memory foam ones are quite comfortable – we get down to listening. And it’s not good. The first thing we notice is the hardness of the sound. It’s a bright, harsh treble that has you thinking about the volume switch. The similarly priced NAD Viso HP20 offers significantly more refinement, as well as instrumental textures and other subtleties. Bass is quite strong. There’s a place for bass-centric headphones, but here it’s not that well defined, nor is it particularly detailed. The Level Ins also lack the strong dynamics and snappy timing to really entertain. Overall, it’s not a good start for Samsung’s headphones. If they were half the price, we might consider the Level Ins – but at £130, we really can’t.